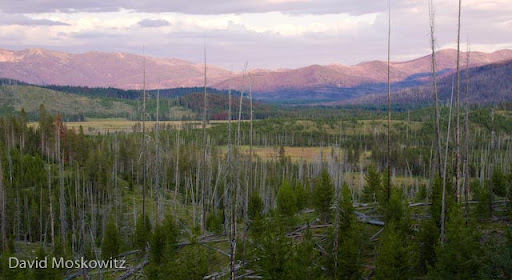 The landscape, typical of the mountains of central Idaho shows conifer forests, dominated by lodgepole pine (Pinus contorta) in various stages of regeneration after naturally occuring fires. Interspersed are large wet and dry meadow systems. 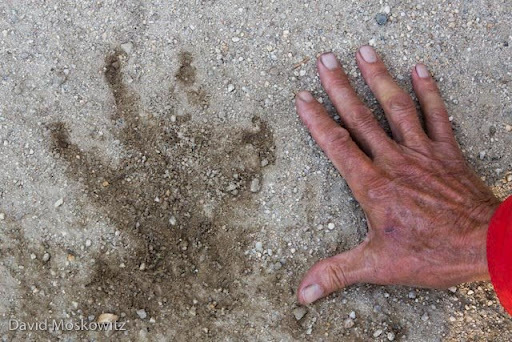 Don Taves inspects the trail of a wolf trotting down a dirt road. The right front foot of a large wolf. The toes have splayed widely and the claws of each digit have dug in deeply, including in the reduced inside toe due to the fast speed of this animal. 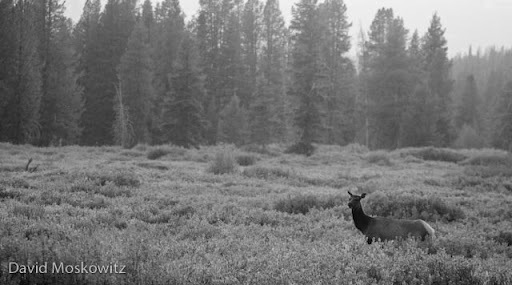 The bounding trail of this wolf was adjacent to the trail of two fleeing mule deer indicating a pursuit (apparently unsuccessful for the wolf). 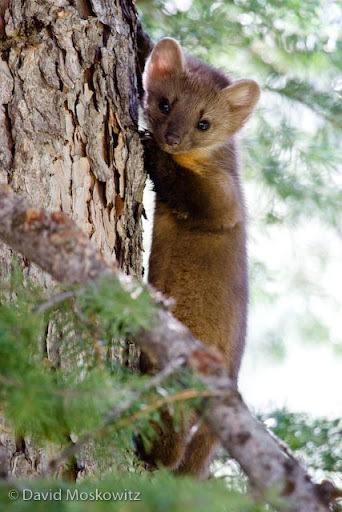 A pine marten (Martes americana) peers down from a safe perch. Sandhill crane (Grus canadensis) in flight. Cranes breed and rear young in the vast wet meadow systems of central Idaho. 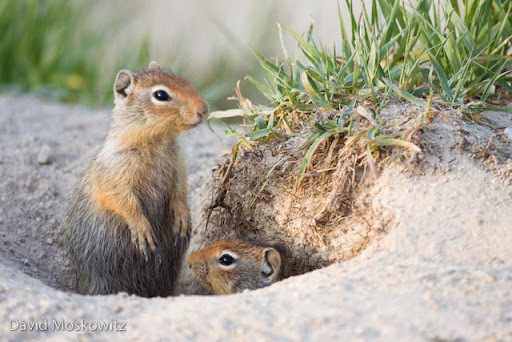 Columbian ground squirrels (Spermophilus columbianus) at a burrow. Students in Wilderness Awareness School’s Idaho Wolf Tracking Expedition hiking out across Corduroy meadows at the southern end of the Frank Church River of No Return Wilderness towards the end of a long day in the field searching for and following wolf tracks and signs. A Northern Pocket Gopher (Thomomys talpoides) Hard at Work.